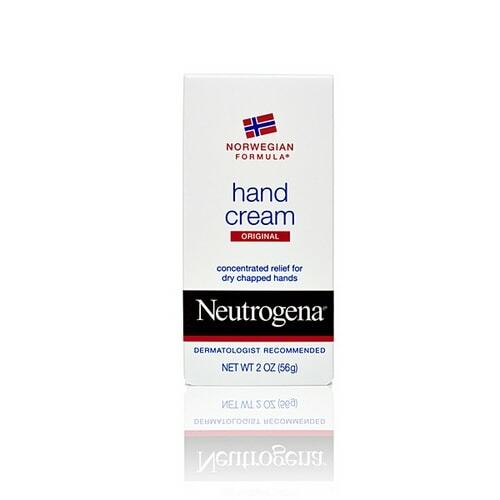 You really need to try Neutrogena Norwegian Formula Hand Lotion before those long winter months hit. It delivers effective relief for dry, chapped hands yet all you need it just one little dab. This clinically proven, glycerin-rich, highly concentrated formula rapidly heals dry hands and noticeably improves the look and feel of your skin. Your hands feel soft and smooth after just one application and it’s moisture is really long-lasting. Used daily, it heals and helps keep dry skin from returning. The convenient, portable size is perfect for the on-the-go drop in your purse or diaper bag plus it comes in original and fragrance-free versions. Become a fan of LAB’s Facebook Page. Then leave a comment on the wall saying you love the Neutrogena Norwegian Formula Hand Lotion giveaway. Tweet this message: “Hope I win Neutrogena Norwegian Formula Hand Lotion giveaway from ladyandtheblog.com (@verasweeney). RT to Enter #contest #giveaway”. Fan Neutrogena on Facebook and leave this link on their wall saying you are entering the Norwegian Formula Hand Lotion giveaway on ladyandtheblog.com. Disclosure: This post is sponsored by BabyCenter in conjunction with the BabyCenter Blog Network. All prizes and compensation are provided by BabyCenter. To find out more about BabyCenter, you can follow them on Twitter (@babycenter) or Like them on Facebook (http://www.facebook.com/BabyCenter). I entered via form above and I so would love to win I love Neutrogen Rainbath such a treat!! All their products are great. I like you on fb and left the comment. Am a newsletter subscriber! Love LAB! I entered on the form. I entered. My skin is very dry and I would love to win these products. Form filled! And I am a newsletter subscriber. I follow you on fb and left the message. I’m a newsletter subscriber! ~ This is a great product for dry skin sufferers like me.